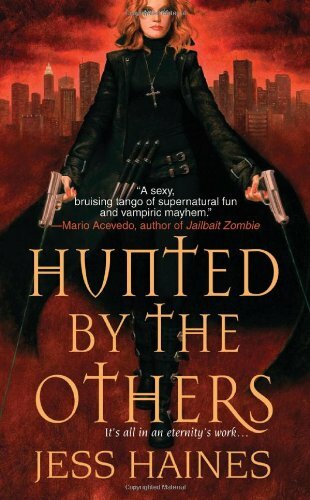 Today I have another fan of the H&W Investigations series here who can't wait to share with you her thoughts about the 1st book Hunted by the Others and why she likes this series. Please give it up for Liz! My thoughts: I think this was one of the first books I downloaded onto my kindle. It came recommended to me as it is in the genre that I tend to read most. The book is told in the first person perspective of Shiarra Waynest the main character. She is mortal, living in our time. She works with her best friend Sara running a private investigation firm called H&W Investigations. Usually they track down missing people or offer surveillance. What they don’t deal with are “the Others”. These are supernatural beings who have made themselves known to the world only recently. They include vampires, werewolves and mages. Times are hard and Shiarra eventually relents and takes on a job for The Circle, a coven of mages who want her to retrieve an artefact from the vampire, Alec Royce. Alec Royce is himself extremely rich and power and scares the hell out of Shiarra. She is a great character, nothing special with no hidden powers, abilities etc. I think that is where her charm lies. When she first meets Alec Royce she is clearly terrified of him and what he could do to her. She is right to fear him. The reaction a normal person would have. Shiarra’s character does evolve as the story progresses and she becomes more assertive and confident in herself. This may have been helped by the gifts she is given by the Circle to obtain the artefact which were just great. I have to say the Hunters Belt was so unexpected and made me laugh. As the story continues you get to meet other characters including her best friend Sara, Sara’s sister Janine briefly and Arnold the geek from The Circle who offers to help Shiarra in her quest, especially as the mage who gave Shiarra the assignment is murdered. As well as having to deal with the assignment and the fact that Alec Royce seems to know everything about her. She has an ex boyfriend, Chaz, who seems to be trying to win her back. He is a werewolf who thought the best way to explain it to her was to change in front of her one day. Needless to say it did not have the desired effect he was looking for and resulted in him being ejected from her apartment with no clothes. On top of that she is approached by the White Hats who want her on their side. These mortals have a strong dislike of vampires and won’t take no for an answer. There is humour in the book to make you smile. There are some great scenes with Shiarra and her family and with Arnold and Chaz meeting at a family barbeque trying to “out” each other. The pace was just right, it made you want to keep reading to find out what would happen next. The end was action packed and a real page turner. It leaves you wanting to know more about not only Shiarra but also Sara and Arnold and of course the mysterious Alec Royce. Have already downloaded the next book which I am sure I will enjoy just as much. You can find Liz on Twitter.